Our role as facilitators is to help your team make progress, wherever they are in the process. We help get you unstuck, so your team can move forward. 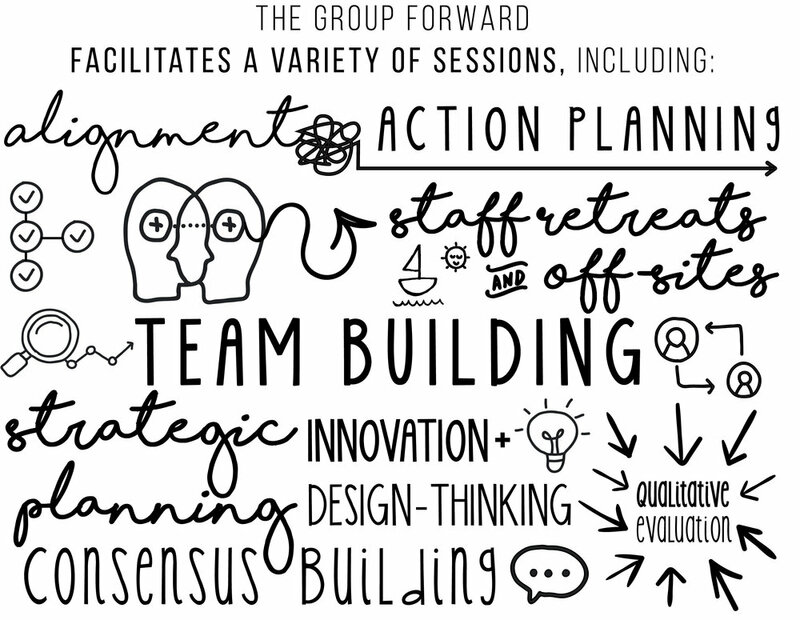 We focus on process: designing an inclusive session that helps your team meet its objectives, empowers the members of the team and leaves them with a strong understanding of what they’re going to do next. You focus on content: the ideas, challenges, opportunities and actions needed to make important organizational decisions. We’ll help you breathe new life into something, getting your team excited and giving them that extra oomph needed to propel you forward.